Osazda Energy has developed a cost-effective, and crack tolerant metallization technology that replaces traditional contact metallization. The new and enhanced metal contacts are deposited using industry standard screen printers and our patented MetZilla paste. The paste incorporates multi-walled carbon nanotubes, and the printing and firing schedules are virtually identical to industry standard procedures. Interested in learning more about MetZilla Paste Technology and how it can help you? Osazda Energy LLC provides materials engineering solutions to improve solar cell and solar module reliability. 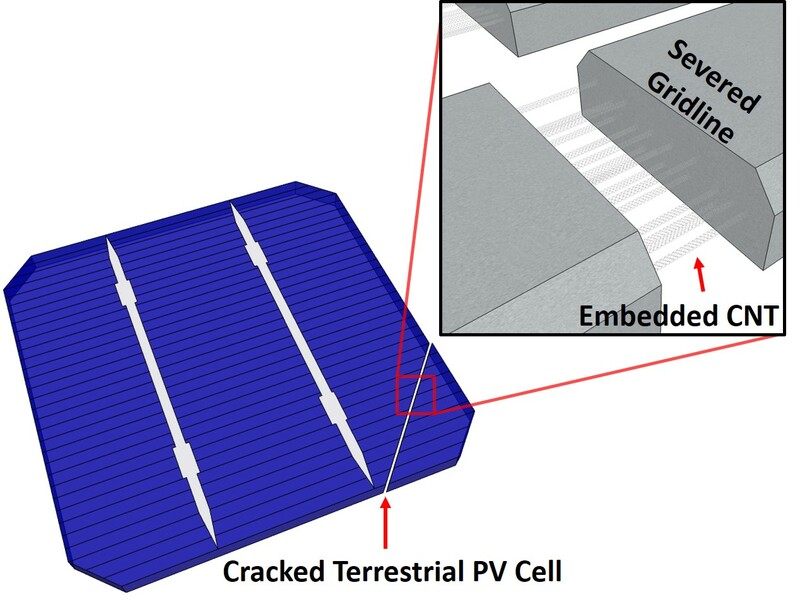 Our specialized metal matrix composites (MMC) have been proven to electrically bridge stress-induced cracks that appear in solar cells over time; the composites also self-heal to regain electrical continuity.